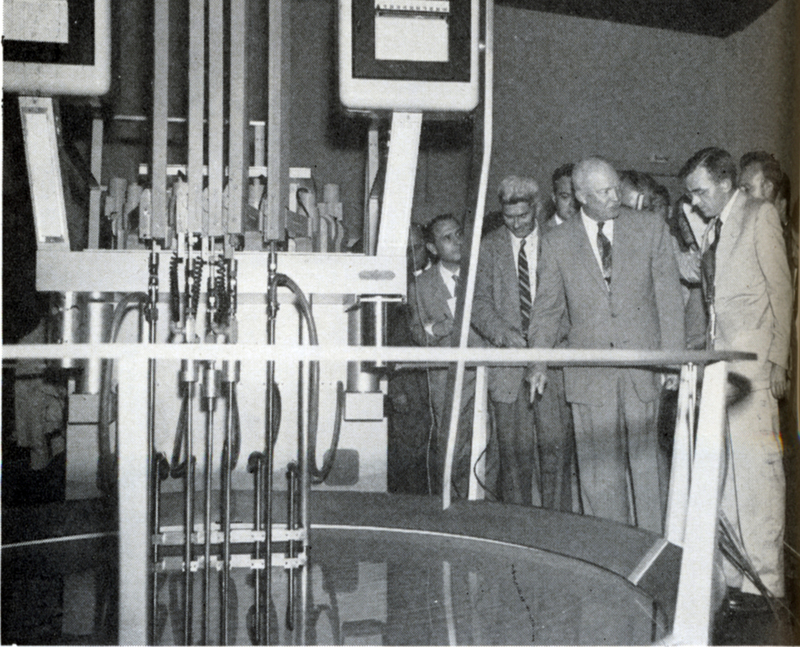 President Dwight Eisenhower tours the Oak Ridge National Lab’s “swimming pool” research reactor, flown from the U.S. to Geneva for the United Nations International Conference on the Peaceful Uses of Atomic Energy. This concept soon became a model for numerous research reactors around the world. Now check your history books. What year was this? All 50 reactors in Japan remain shutdown. Nuclear power had provided 30% of Japan’s electricity. Despite rising energy costs in Japan, they have been able to get by without nuclear power. In the US around 100 nuclear plants provide 20% of our electricity. As the NRC has done nothing to prevent an identical disaster here in the US, we could lose 20% of our power supply overnight. In addition since the EPA has issued an overreaching rule that phases out coal-fired power plants and even penalizes lower-pollutant emitting natural-gas power plants, our nation’s entire electric grid could collapse. The public does not need an enemy when we have the NRC and the EPA. Another example of a government that’s here to help us?! The number of people who have died as a result of having to evacuate the areas around Fukushima now exceeds 1,000. Particularly hard hit are seniors and the disabled. Some people simply die because they lose hope. They can never return to their homes. In some cases displaced folks can’t even return long enough to pick up personal belongings and heirlooms. No other disaster has such long-lasting effects on people and the environment. All of Japan’s nuclear reactors are still shutdown as a result of the disaster and it has been over 4 years. Costs for electricity have skyrocketed. Talk aboutva double whammy. Nuclear simply no longer makes sense! What a useless article from global research. Bombs and NPP, like forest fire and home fireplace or 10,000 gal. gasoline tank explosion and my cars engine. Guess I should not move to Denver and get 800 mRem per year, I’m sure I will be much healthier getting 300-500 mRem in SC. I still wonder what that 1,000 mRem I got in a half hour in 1970 did, nothing…….LNT actually kills people, such as the 800-1,000 people that died leaving Fukushima so they would avoid 2-5 Rem per year for a few years or the ones that die because they refused a CT scan. I think it was 1955. As a result of President Eisenhower’s “Atoms for Peace” program, the United Nations in August 1955 conducted the first International Conference on Peaceful Uses of Atomic Energy in Geneva, Switzerland.